again then the window reduces to show just the standard text. colors for the tooltips, and the display font can also be changed. found in the standard tooltip. the control using the AddTool(...) member function. where ID_CONTROL is the ID of a control. text, and then append the extended tooltip info. and provide a TTN_NEEDTEXT handler to return the text dynamically at runtime. length, and if necessary displayed on more than one line. To change the font of the tooltips simply use the SetFont member function. with the exception that the uFlags member is not (yet) used. CString   strText;      // Tooltip text if szText is NULL or empty. //				pWnd		-	Pointer to the window that contains the tool. //				nIDTool		-	ID of the tool. //				COXToolTipInfo structure is filled with that information. //								specifies the information to be set. // --- Effect:	Retrieves the margins used for drawing the text in the tooltip. //				text and the the edge of the toltip window. // --- In:		pWnd	-	Pointer to the window that contains the tool. //				nIDTool	-	ID of the tool. // --- Effect : Retrieves the text that a tooltip control maintains for a tool. //              registered, then str is filled with the tooltip's text. //							multiple lines, it will be displayed on a single line. // --- Returns:	The previous maximum tooltip window width. // --- Effect:	Sets the text colour for all tools maintained by this control. // --- Effect:	Call this function to activate or deactivate a tooltip control. //				information does not appear, even when the cursor is on a tool. //				window border and the text contained within the tooltip window. // --- In� :	pWnd		-	Pointer to the window that contains the tool. //								window to retrieve the text. //				is on the tool. //              collection of tools supported by a tooltip control. // --- Effect : Updates the bounding rectangle of the existing tooltip. // --- In:		pWnd		-	Pointer to the window that contains the tool. //								coordinates of the point to be tested. //								information about the tool. //				within the tool�s bounding rectangle; otherwise FALSE. //				rectangle (pt is in client coords relative to the parent window). 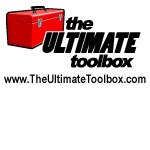 //				pToolInfo is filled with information on the corresponding tool. // --- Effect:	Hides the tooltip. // --- Out : . // --- Returns:	A rectangle containing the bounds of the tooltip. //              info (uses current mouse position). // --- Effect:	The destructor - cleanup and memory release. // --- Returns: A CString containing the tooltip text. //              tooltip text will be returned. // --- In:		pWnd	-	A window containing a tool. //				nIDTool	-	The ID of the tool. // --- Effect:	Retrieves the internal info about a tool. // --- In:		point	-	A point (in parent window client coords) to test. // --- Returns:	The child window (of the parent window) from the supplied point. //				window that contains the specified point. // --- In:		pToolInfo	-	A tooltip. //              be displayed until the preset delay (m_nDisplayDelay) is up. //				bExtended	-	If TRUE then the extended text is displayed. // --- In:		pt	-	A point (in parent window client coords) to test. // --- Returns:	Either a pointer to the COXToolTipInfo, or NULL if it failed. //				whose bounding rect contains pt. // --- In:		pToolInfo	-	A tool tip info. // --- Returns:	Returns TRUE if the cursor is in the current tooltip window. // --- In:		ref		-	The string to parse. //				nIndex	-	The field number to return (0 based). //				ch		-	The separator character. // --- In:		lpLogFont	-	A pointer to a LOGFONT structure (the new font). // --- Returns:	TRUE on success, FALSE otherwise. // --- Effect:	Sets the font to be used in the tooltip. // --- Effect : Returns the system tooltip font. BOOL    m_bUsingSystemFont;         // Use system tooltip font? BOOL   m_bActivated;                // Are tips activated? BOOL   m_bTipCancelled;             // Has the current tooltip been cancelled? BOOL   m_bExtended;                 // Is the tip displaying extended info?